With help from a Community Foundation Tyne & Wear and Northumberland – LEAF grant, GO Local Food is going to be testing new methods for improving the soil on their fields. Over the past 6 years GO Local Food has successfully brought unused land back into production. “Because we don’t use chemicals our fields are a haven for wildlife (including pests! ), we are now producing approximately 6 tons of seasonal veg. per year and supplying over 50 families with weekly crops for 50 weeks of the year. Quite an achievement” says Gill Thompson, Founder Member of the Co-op. All of which means GO Local is going to be trialing a no-dig or conservation growing system. Rather than using machinery and trampling our way up and down the fields we are going to use hot compost to encourage worms and other fauna to aerate and enrich the soil. Weeding will not be a thing of the past but over time should be reduced and easier. The grant from the Local Environmental Action Fund at the Community Foundation (LEAF) enables us to build a compost system that will produce approximately 12 tons of compost per year. 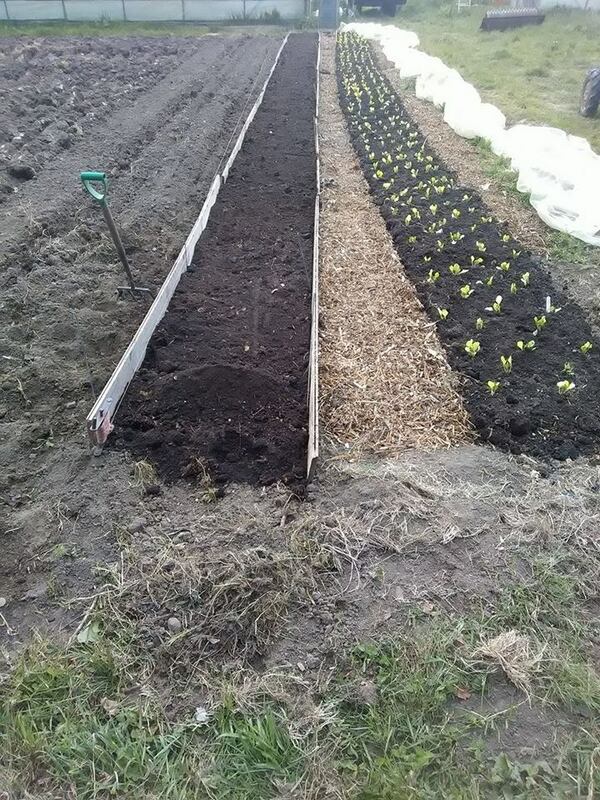 We are anticipating the new plots will be producing more quality veg, which will also mean we can feed more people and hopefully reduce time spent weeding.